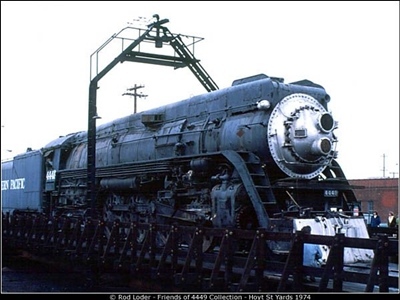 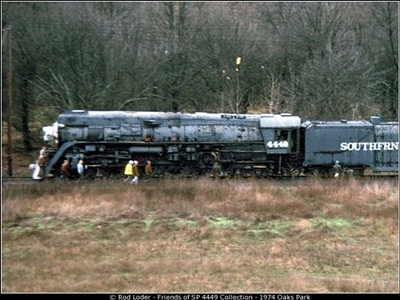 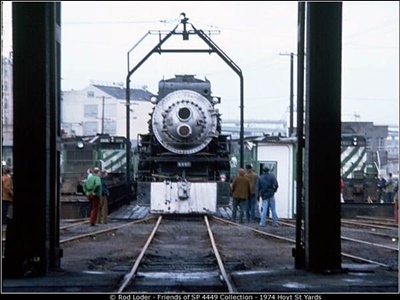 When SP 4449 was selected to be rebuilt for the upcoming American Freedom Train tour, it was towed out of Oaks Park in SE Portland and moved to Burlington Northern's Hoyt Street Roundhouse, which is now a developed neighborhood known as NW Portland's Pearl District. 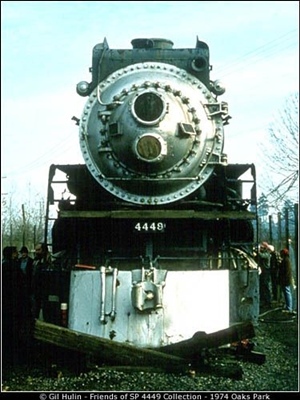 Interestingly enough, the same diesel locomotive that put it on static display in 1958 was the same one used for pulling it out in 1974. 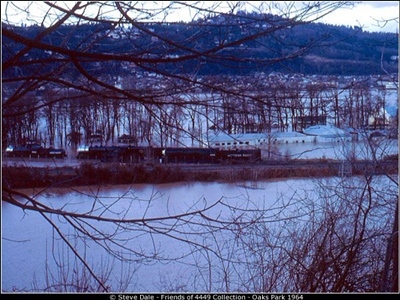 A 1964 photo showing the locomotives and Oaks Park during the flood. 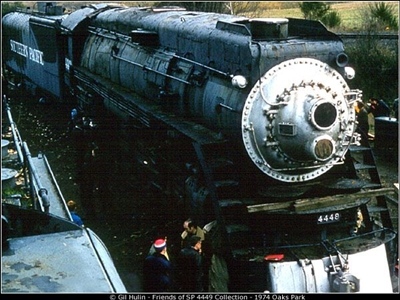 4449 being prepped to move out of the park. 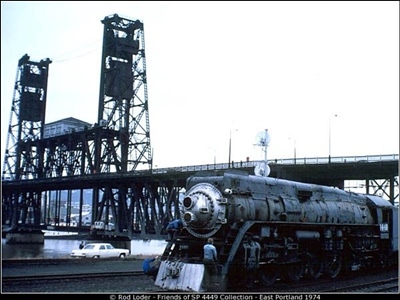 EPTC 100 and 200 towing 4449 through SE Portland. 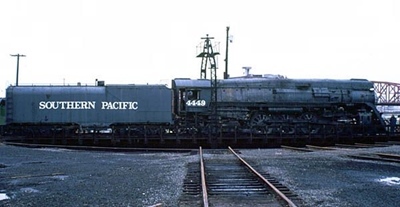 Southern Pacific towing 4449 through East Portland. 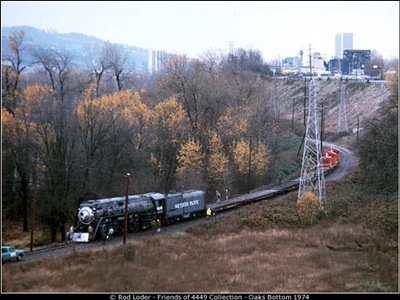 4449 being towed to the Steel Bridge. 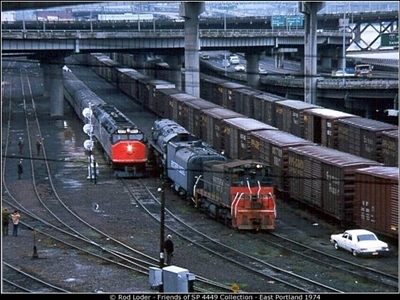 At Hoyt Street Roundhouse, NW Portland.